This is a guest post by Tabitha from MeetPenny.com. Teaching children table manners can be a challenge, but you do not want dinnertime to become a battle. So, try to think of fun ways to communicate the rules. Explain that elbows should not be rested on the table during dinner. Placing your elbows on the table means you are leaning over your plate, which could cause hair to fall into your food. You could also invade the space of the person next to you or accidentally jab someone with your elbow and cause an accident. A great way to remind children is to place red, felt circles on either side of their plate. Claim that these are hot spots and if the children touch them, they will be burned. Polite eating habits are one of the most important things we can teach our children because these rules will be used three times a day for the rest of their lives. However, many times we fail to remember that these lessons do not come naturally. My children believe if you have on a shirt that a napkin is not necessary. Anyone else feel my pain? Teach a child how to use a napkin and that the proper place for a napkin is across their lap. If this lesson is taking some time to master, try switching up your normal napkins and use brightly colored, cloth napkins. Or, if your child uses the napkin correctly, reward them with special character napkins leftover from birthday parties. If your children struggle with how to use utensils correctly, bring out the Play-doh plastic cutlery, and paper plates. Pretend dinners are an excellent way to practice all manners, but they can be especially helpful for children who need to master using a fork and knife. Probably the hardest lesson to apply in our home is that everyone should be seated and served before anyone takes their first bite. A fun way to teach this rule is by playing a game like musical chairs. Give everyone a box of raisins or a few crackers. When the music plays, everyone walks around the table slowly. When the music stops, everyone should sit. Once everyone is seated, the children can have one piece of their snack. Anyone who nibbles before everyone sits is out. Learning to pass food around the table is probably a lesson best reserved for older children but everyone can benefit from a game of hot potato. Modify the rules slightly so that they have to hand the “potato” to the person beside them with both hands and may not let it fall to the floor. Self service can also be a challenge for young children but as they learn to fill their own plates, children should be taught to only take a small portion to begin the meal, allowing everyone to have a part, even if it is a favorite food. Divided plates are perfect for assisting children to serve themselves or use clear plastic plates and a printable graphic underneath the plate to show proper serving sizes. 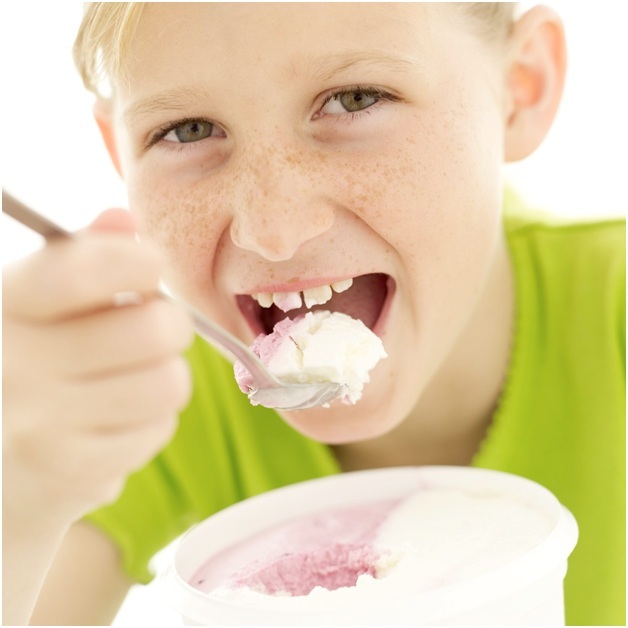 Children should be gently reminded that slurping and licking fingers are not acceptable behaviors, but probably the most interesting challenge you will face is in teaching your children what to do if they do not like the way something tastes. While it is rude to not sample a bite of everything served, the correct way to dispose of something offensive is to use a fork to remove the bite from your mouth and put it back on the plate without drawing any attention or saying anything negative. We love to have taste tests of different foods or special dinners where everything is planned around a color or letter. Courtesy at the table might seem like a foreign language to some children, but just like learning a foreign language, the best way to adjust is to jump right in to the culture. I have to give my children an appropriate model to follow. Working to learn new social skills can be difficult but when a reward is involved, children can enjoy the experience. Our family has small sauce cups on the table at each spot. When a child makes good choices, they earn a small piece of candy. We try to give each child at least five pieces of candy at each dinner and this becomes their dessert. Most of all, remember that consistency is the key. 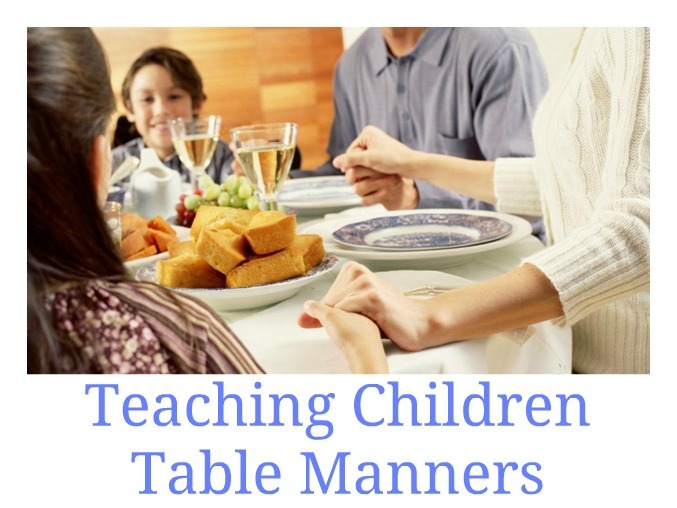 Teaching table manners happens every time you sit at the table… whether you realize it or not. How do you teach mealtime etiquette to your children? 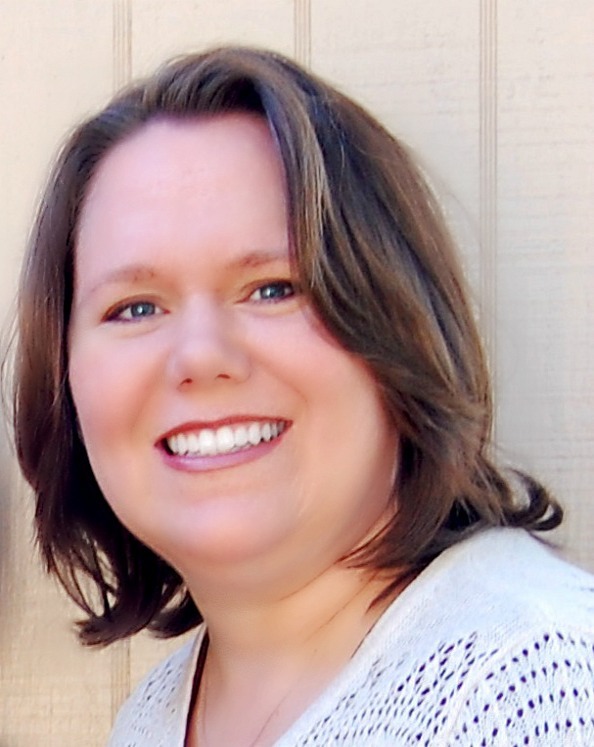 Saved by grace, Tabitha Philen (also known as “Penny” to her readers) is a homeschooling, coupon clipping, frugal living wife to one terrific husband and mom to four amazing kids, ages eight and under. You can learn more about her at MeetPenny.com.